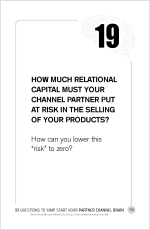 Home → Uncategorized → How much relational capital must Channel Partners put at risk to sell your products? I want to introduce you to a concept called, “Risk-Reversal” and then tell you about one real life example of how it worked so well the company became #1 in their market and went from startup to a $6.6B acquisition. The idea behind Risk-Reversal is not just to reduce risk or bring it to near-zero for your customer and Channel Partner, but rather—reverse it—so you, the vendor, take on ALL the risk. My good friend Perry Marshall, author of the bestselling The Ultimate Guide to Google AdWords: How to Access 100 Million People in 10 Minutes, recorded a short video for a seminar/workshop in which Risk-Reversal was one of the main topics in his syllabus. In Business-to-Business sales, guarantees are really unusual. ‘Hi Mr. Customer, I’m going to sell you this product and I’m going to promise you that it’s going to work and I’m not going to make any guaranties about that whatsoever. I’m not going to put it into writing. You’re going to have to trust me. If you cannot just neutralize the risk, but actually reverse it, so that it’s risky not to do business with you, really amazing things do happen. How many times has a friend (or spouse!) told you to get over yourself and “go the extra mile?” While you may know it as a key to building friendships, it’s also a potent Risk-Reversal technique. A Roman soldier could legally make you carry something (usually all his military baggage) for him for one mile. If the soldier makes this demand of you, you may well feel as if you are being forced to do this, that you have no choice. The soldier can lord it over you because of his position in the occupying army. You would be tempted to find some way to retaliate, to get back at this soldier for this humiliation of being forced to carry his things for him. Applied to sales, when customers force you to march—in synch—through their gauntlet of rigid rules and expected behavior (say, in a Request for Proposal), do the unexpected: Blow them away by changing the rules of the game. Here’s how Casey Cowell did it. And in doing so, won all the marbles during the dot-com bubble. Remember, dot-com meant absolutely nothing without connectivity. And for most people, it was a USRobotics dialup modem that brought the internet into their homes. 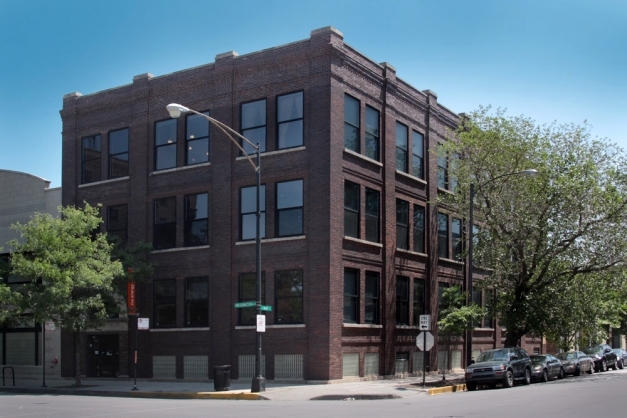 In 1983 I joined U.S. Robotics—then very much a startup—located in the seedy near-west side of Chicago (long before regentrification and Harpo studios setting up shop in the neighborhood…it was hookers and hobos back then). Casey Cowell, hired me to run sales and marketing. He, along with Steve Muka and Paul Collard, were the remaining survivors of a University of Chicago computer enthusiasts club who had founded U.S. Robotics with dreams of conquering the world, hence the name—taken almost verbatim from Isaac Asimov’s classic i, robot. Paul was the hardware guy; Steve, the coder. And between them, set out to design the most frugal, lowest cost, 1200 bps modem based on Intel’s 2920 digital signal processor. As Steve and Paul worked tirelessly on their design, Casey was out looking for business from two sources, telecom resellers and OEMs. 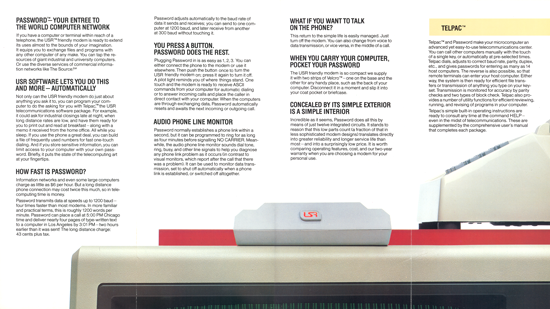 At that time, if you wanted to connect computers using voice-grade modems, you had to buy them through telecom distributors who had the necessary smarts to make these strange devices work. Modems were far from “plug and play.” Concentrating on resellers was logical. OEMs, on the other hand, represented a huge opportunity for USRobotics. I’m not sure if Casey even thought about OEM modems before an independent sales rep from the Bay Area called him with a tip about Apple. Apple was seeking bids for a modem to complement their soon-to-be-announced Macintosh. Apple required exacting manufacturing standards. And more than this, the modem had to be priced at $499 (retail). With all the markups along the way, this meant the modem had to be delivered to Apple for no more than $150. This forced modem makers, like USRobotics, to have a total bill of materials less than $45. Our low-cost chipset made USRobotics one of only a few suppliers capable of building such a device and not go broke doing it. But Robotics was a complete unknown. Our manufacturing was crude (to say the least) and our product reliability was poor (okay, it was awful). I remember getting a phone call on a Saturday morning from an end-user asking for a replacement AC wall adapter. When I asked the caller why he needed a replacement he said that the adapter we sold him caught fire. No damage to anything. Thankfully. He just needed a replacement. Needless to say, I was happy to rush him a new one right away. None of this seemed to worry Casey. Instead, he pushed even harder. He was well aware of the risk Apple would have to justify before contracting USR to build a Macintosh accessory carrying the fabled Apple logo. When a customer, like Apple, put out an RFP (request for proposal) for a custom modem, while everyone else responded—as instructed—with a proposal, Casey greenlighted us to respond with a CAD schematic of the modem to accompany our proposal. At the next stage, when the customer requested a schematic, we sent them a working breadboarded modem. When the customer was ready to see a breadboard, we showed up with a fully-functional, working prototype, matching the customer’s requirements. 1) Get the prospect to start picturing themselves using the USR product. Whether mental (CAD schematic gets them thinking of enclosure, color, cable/interface, whatever) or actual, engineers are wont to let a functioning prototype sit idly by. For instance, let’s say one of Jeff Porter’s guys (at Commodore) is doing some other test (say EMF) and a marketing guy walks in and sees the USR prototype. The modem wasn’t some imaginary device anymore. It became real. It helped us get a leg up, regardless of what Purchasing was or wasn’t doing. 2) Keep our competition (hopefully) one step behind. If nothing else, demonstrate USR has the eager desire to win the business. It’s important you know there wasn’t any purchase order let to USR in any of these early stages. No payments of non-recurring engineering costs. No promise of an order whatsoever. We just knew if the customer could literally hold the product they were envisioning, no matter how enticing the bids from GDC, Gandalf, Vadic, Microcom, Novation, Hayes, UDS, Zoom (and many others), these competitors were always one step behind us. 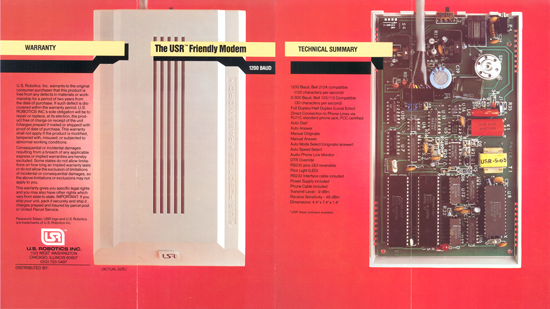 USR went onto become the world’s largest and most successful consumer modem brand. In 1991, U.S. Robotics raised $28.3 million through an initial public offering and was subsequently sold to 3Com in 1997 for $6.6 Billion. Additional USR history recounted here. Password modem flyer, below. sidebar: Intel employed a related tactic, known as the “Intel Treadmill.” By staying ahead technologically, competitors were forced to run on a technology treadmill, on which Intel determined the speed and incline pitch. Oh, for the days of being the recognized market and technology leader. The Password modem. A PDF of this flyer is available here.